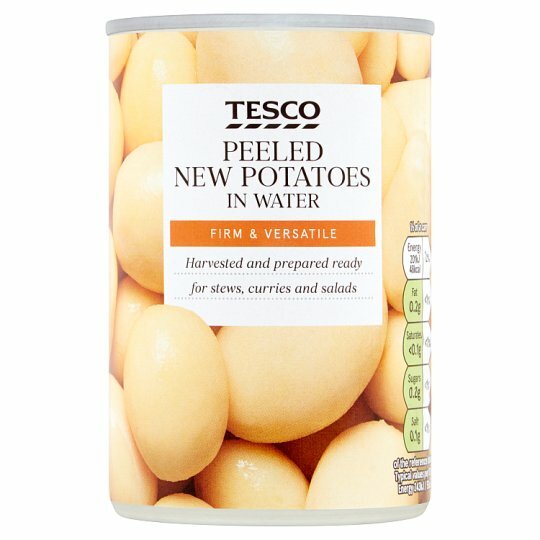 Peeled new potatoes in water. Store in a cool, dry place., Once opened, transfer unused contents into a non-metallic container, cover and refrigerate., Consume within 2 days. Instructions: Empty contents into a saucepan. Heat gently for 3-4 minutes, stirring occasionally. Do not allow to boil. Not suitable for microwave heating or frying.